Raid coming back as Call of Duty: Black Ops 3 DLC…? What else could this tease mean? Gorgeous, fan-favourite map makes a return – probably. Call of Duty: Black Ops 3 players are waiting expectantly on an announcement of the shooter’s third DLC pack, and it looks like they won’t have to be patient much longer. The Call of Duty social media team appears to be firing up for a reveal, tweeting out a sweet little tease showing off what seems to be the Raid map from Black Ops 2. 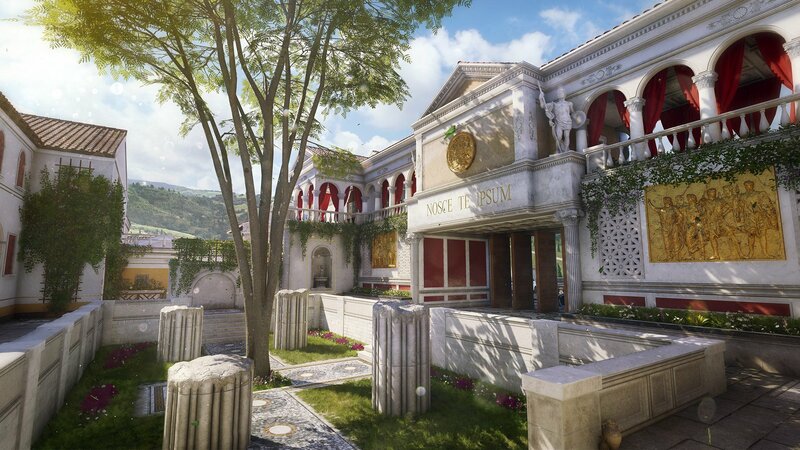 Remade maps are all the rage in Call of Duty DLC packs these days, and Raid is a particular favourite which looks pretty good after its import into Black Ops 3’s updated engine – in this one screenshot, at least. There’s no word on when the third Call of Duty: Black Ops 3 DLC pack will release, except that it will of course arrive on PlayStation 30 days early, as per Activision and Sony’s continued sweetheart arrangement. Presumably all the information will be included when he pack is finally revealed – which should be soon, judging by the wording of the tweet: “it’s almost time”. Black Ops 3 is soon to be superseded by Call of Duty: Infinite Warfare, which has spaceships you can really steer. Hooray!